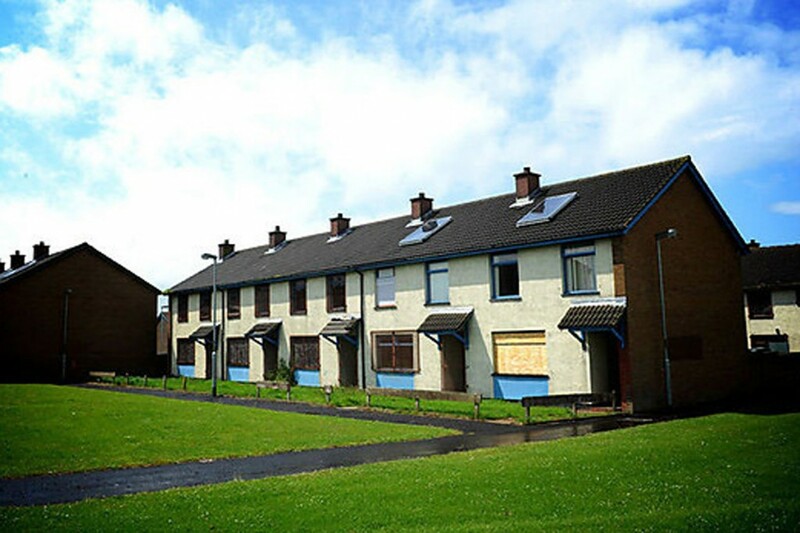 There was a glut of voices on the radio the other day, each eager to comment on ‘The Estate’, a TV fly-on-the-wall documentary about Ballysally housing estate near Coleraine. Some callers claimed it left out all the good stuff, some said it was plain depressing, some that it was good because it allowed disadvantaged people to speak for themselves. One point in particular hooked my hearing. A caller claimed that at the heart of Ballysally’s problems was a four-letter word – JOBS. The people in the estate had none and from this flowed their other ills. No truer word. So how is the Good Friday Agreement working generally, in its promise that equality of employment opportunity would prevail here? Well, if you’re a Catholic, this might be a good time to put aside the paper and go for a walk…You’re gone? OK. “Labour Force Survey Religion Report 2010” from the OFMDFM says that 61 per cent of long-term unemployed people are Catholic; the 2008 Annual Average of Long-Term Unemployed, from the Department of Enterprise, Trade and Investment, showed that 29 of the 38 electoral wards most affected by unemployment across Northern Ireland have at least an 85 per cent Catholic population. Grim figures indeed, but in some ways grimmer is that not much is being done about it. Take the draft regeneration plan for Derry, which naturally is concerned with employment: it targets Protestant male under-achievement in education but doesn’t mention targeting Catholic inequality in employment. You get more of the same when you look at efforts to secure private investment in the north. During 2010/2011, Invest NI managed to secure NOT A SINGLE JOB in West Belfast. Yet year after year, south and east Belfast attract shed loads more money via Invest NI than does north or west Belfast. You’re not surprised, you say? What private investor is going to go into an area that s/he sees as in need of a facelift or gripped by sectarianism? Perception rules. But you’re still left with some sick-bag facts in terms of public sector jobs. There again, the big projects keep heading towards the Titanic Quarter of Belfast and away from north or west Belfast. Exhibit A: Belfast Metropolitan College. A lot of people thought for a long time than West Belfast would get that one. Uh-uh. Titanic Quarter claims the prize. Exhibit B: the Public Records Office. Some simple souls believed the Public Records Office would locate itself at a rejuvenated Crumlin Road Gaol. No, no, no,. It went – you guessed – to the Titanic Quarter. This is doubly unfortunate, because when a project like the Public Records Office is located in an area, it brings with it a tourist trail, sets a precedent that other investors may well follow. And vice versa – non-location encourages non-investment. Of course east Belfast has its own employment problems, but they’re dwarfed by those that paralyse west and north Belfast. You’d think that this kind of employment imbalance would draw yelps of outrage from some political party, if only to score points off their opponents. Alas, all is still on dale and hill. My suspicion is that in our desire to bury old animosities, we’ve reached the point where raising an old issue like employment inequality might be considered backward-looking, smelling of yesteryear. And yet I was talking to a senior trade union official a while back who insisted that lots of firms here operate with very uneven Catholic:Protestant figures for the workforce. Cases aren’t brought against them because people, including those involved, fear the repercussions of kicking up stink. Let me confess my own bias: I’ve always tended to see the whole We-Built-The-Titanic-How-Wonderful thing as rich theatre-of-the-absurd material. But even allowing for that, there still is something crazy that, decades after fair employment legislation and 14 years after the Good Friday Agreement, we’re still talking about the dice being loaded against Catholics in search of a job. Shouldn’t somebody be shouting they’re mad as hell and not going to take it any more?